This is the central website where you can find all information about my music and other activities. The last decades I spent most of my time as the composer/producer of my own music. Being able and free to do so has resulted in about 40 albums, electronic, psychedelic with electric guitars or acoustic instruments or a combination of those. Most of my activities were inside the studio. As a painter and a sculptor, but with sound as his medium, and the studio as his tool. The music I made wasn’t intended for live reproduction; it is an art form on itself. I’ve jumped from heavy guitar to meditative music, always trying to find new ways, new sounds, inside the environment I created. When I start composing a new piece, I usually have a rough feeling, a sense of atmosphere and colour. But no clear picture of the music. I simply fiddle around a bit and then it starts coming, idea’s start flowing, till a point where the music itself tells me how it wants to sound like. An amazing process, in which the whole studio becomes a sound shaping instrument. Leonardo is a Dutch musician/producer. In his private studio he has produced more than 40 albums, ranging from electronic (downtempo, leftfield, electro, Berlin, cosmic, dance) to psychedelic (space rock, krautrock), mantra (India & Bhutan), poetry (with beat poet). Most of these albums were released digitally, some as LP or CD. As a young boy he learned to play the electronic organ, but he thought it wasn’t cool at all. At the age of 16 he got his first synthesizer. From that moment his fascination for sound took off. In his early twenties he started composing his own songs, with the help of a reel to reel recorder and a tape deck. At the age of 26 he started to learn to play the electric guitar. A period of song making followed, both electronic and singer/songwriter stuff. 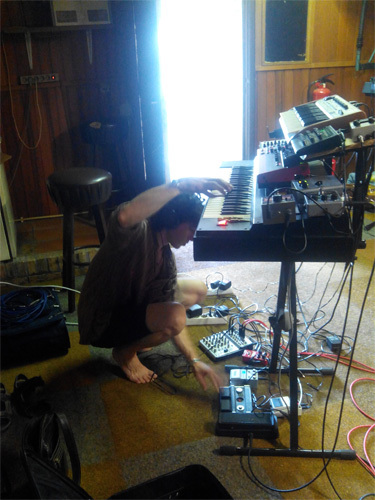 By then he owned several synths and organs and effects devices, cobbled together in a small home studio. The arrival of the computer opened new doors. From ’99 until 2003 he worked furiously and made a lot of songs. Finally, he felt, it was possible to make high quality music and create his own albums. ‘Origine’ (2003) was the first album. It has an electronic 70’, 80’ sound with an analogue feel. After that, a couple of instrumental electronic albums followed (Dharma, Samsara, Electronic Reality). 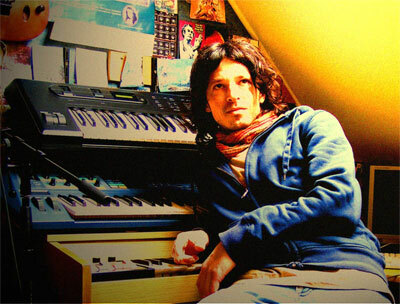 In between he made Soundweaver (2003-5), electronic/ psychedelic, with lots of electric guitar and vintage organ. Turn on, Tune in, Drop out (2005), psychedelic/space rock with electronic edges, was learning material and never released, although it had some very cool tracks. Temple (2007) was made, an intoxicating krautrock album, this time with the electric guitar as the main instrument. It is one of Leonardos classic albums. 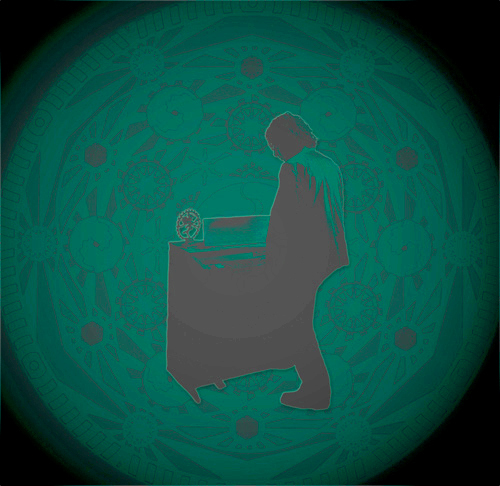 ‘Open’ (2007) and ‘The Turning Point’ (2007) followed, albums in which he mixed electronic and psychedelic influences, even vocals. Those two albums are hard to pin down to a specific genre; especially The Turning Point is very eclectic. Leonardo went back to electronic with meditative ‘Sabda’, retro futuristic ‘Elements’ (both 2008) and ‘The Fascinating Vibes of Electronic Waves’ (2009). By then he made full use of his analogue and virtual instruments. In 2010 ‘Quantum Generation’ was made, an electronic album with instrumental tracks, robotic vocals and beats. Later that year ‘Imagine’ followed, with ambient and dance tracks. Magical Expansion (2009 and onward) was a project that never finished. The music was very colourful, inspired by late sixties, early seventies psychedelic bands, and has vocals. Leonardo worked on it on and of during the next years, but it never satisfied him, although a handful of songs were pretty nice. In 2011/12 Leonardo worked with beatpoet Egbert Hovenkamp and produced 3 albums with him, ‘Músarrindill’, ‘AARDE’ (both on CD) and ‘InSpiratie’. 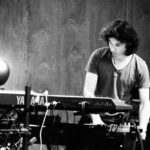 On those albums Leonardo made use of every instrument he could find like acoustic stringed instruments, electric guitar, organs, percussion, synthesizer, voice and found noises…It was a departure from everything he did before! During that period he invented the character Leoweyn and made the acoustic/electronic/space/folk/poetry album‘ Waar het Stroomt’. It has Dutch vocals and the same playful attitude as ‘Músarrindill’. It hasn’t been released (yet). More experiments followed, like ‘Chants according to…”, with yoga teacher G.N Rao chanting Vedic Mantras. ‘Inner Space Dimension’ was also made in the period 2011/12, a cool old school electronic album with some psychedelic edges. In 2012 ‘Drones’ was created, an ambient/krautrock album with four long tracks. It is, as Leonardo said, the real follow up of ‘Temple’, a mix of dreamy electronics and space/glissando guitar. In 2013 Leonardo produced two songs for ‘A Drop in the Ocean’, a CD with singer Lhamo Dukpa from Bhutan. It was a very special project with ancient Bhuddist mantras. He made electronic arrangements for the songs and also did the artwork. In 2014 ‘Mantra Electronique‘ was released, another electronic album. 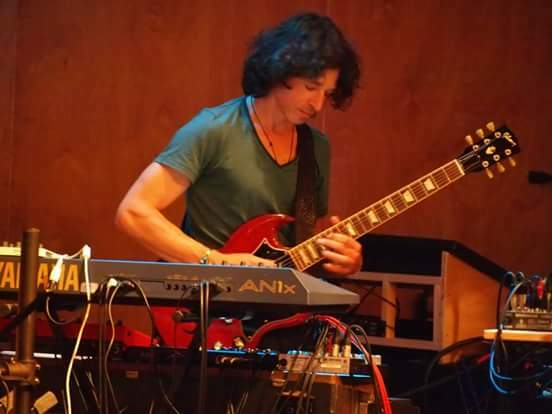 In 2012 Leonardo started working on ‘Gurumaya’, a neo-psychedelic/krautrock album with vocals and a band feeling. It went very well. All instruments were played by Leonardo, as usual. Realizing this was something completely different, he decided to take on a different name for the occasion, Astral Son. In 2014 it was released on vinyl by label Headspin Records. In 2015 new Astral Son release Silver Moon. Vinyl (Headspin Records) and download. Live performance at Cosmic Grunn. With organ, synths, sequencer, electric guitar. New electronic album: Syrinx. Released only on Bandcamp (Download) and Neu Harmony (CD-r) and with a new name: Son of Ohm. 2016 Started working on a new Son of Ohm album. Release of Astral Son albums Silver Moon and Mind’s Eye on CD by Sulatron Records and Mind’s Eye on vinyl by Headspin Records. 2017 Release on Bandcamp of Astronaut by Son of Ohm. Release on CD-r by Neu Harmony. 2018 Electronic Muse by Son of Ohm on Bandcamp and CD-r by Neu Harmony. Live performance at Electric Spectrum Experience. With organ, synths, sequencer, electric guitar. Blackbirds by Son of Ohm on Bandcamp, CD-r by Neu Harmony. Influenced by Pierre Henry, Kid Baltan, Tangerine Dream, Klaus Schulze, Jean-Michel Jarre, Kitaro, Vangelis, Tomita, Bo Hansson, ELP, Cream, Hendrix, Spirit, Moody Blues, Incredible String Band, Caravan, Camel, Gong, Steve Hillage, Pink Floyd, Ash Ra Tempel, Beatles, Sun Dial, Zappa, Brainticket, Hawkwind, Classical Indian music, Aphrodite´s Child, Eno, Aes Dana, Bowie, Kraftwerk, Led Zeppelin, Oldfield, Massive Attack, Witthüser & Westrupp and many more…..
“Sounds and music, generated by man and machine! Synthesizers, organs, electric space guitar and various little devices, all connected and merged into a symphony of Sound. And what a Sound! Electronic & Psychedelic music have come a long way and still there is so much to discover”. Leonardo Soundweaver is Astral Son and Son of Ohm. 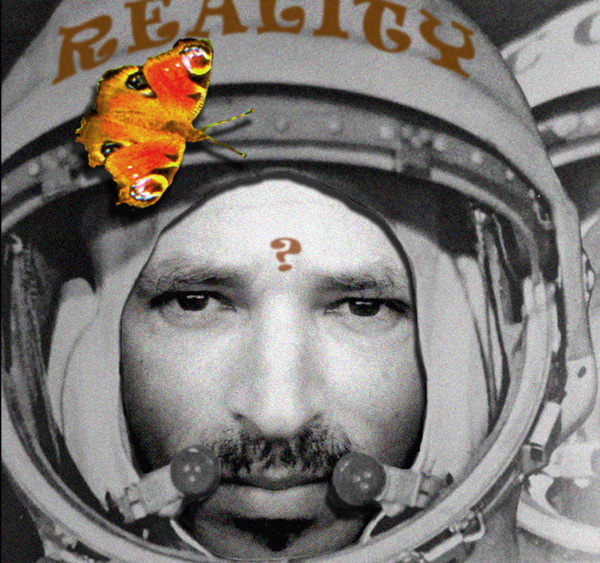 Organic electronic retro futuristic & psychedelic music, exploring the inner and outer space.